Keep up with the latest developments in open source cloud computing through CloudSource Magazine. Europe, as well as be a channel stories from outside of the EU. Prof. Dr. Keith Jeffery, President of ERCIM, U.K. 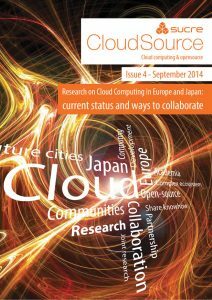 This fourth issue features articles from the current status of Cloud Computing and ways to collaborate between Europe and Japan. Also included is the listing of news and events worth of note for the Could Computing Community.